Science and Technology of Advanced Materials, 19(1), 883-898 (2018). DOI: 10.1080/14686996.2018.1542926 (Published (web) 31 October 2018). Abstract: The young history of sputtering onto a liquid features great achievements in the green production of various metal and metal oxide nanoparticles (NPs) and nanoclusters (NCs). Studies on how the sputtering parameters affect the properties of NPs and NCs have elucidated their formation mechanism and marked a crucial role of liquid matrix in the nucleation and growth of particles, controlling their various properties. Current research has been devoted to making alloy bi- and trimetallic NPs with a high level of control over the NP structure, composition, and size via well-designed target systems, sputtering steps, and liquid matrix materials. In this minireview, we discuss the recent advances in the use of various types of targets to prepare different bi- and trimetallic NPs. In single target sputtering, systems with alternative configurations of metals, alloy targets, monometallic targets in sequence, and a combination of sputtering and chemical reactions have been developed. On the other hand, a double head system was introduced to widen the range of controllable sputtering parameters yielding more versatility in particle composition and fine structure. The synergistic and tuneable properties exhibited by the multi-metallic components in small NPs and NCs for their use in catalysis and optical applications are discussed. Bulletin of the Chemical Society of Japan, 91(12), 1781-1798 (2018). Abstract: In the past decades, various nanomaterials have been intensively developed because of their unique electrical, optical, magnetic as well as catalytic properties. 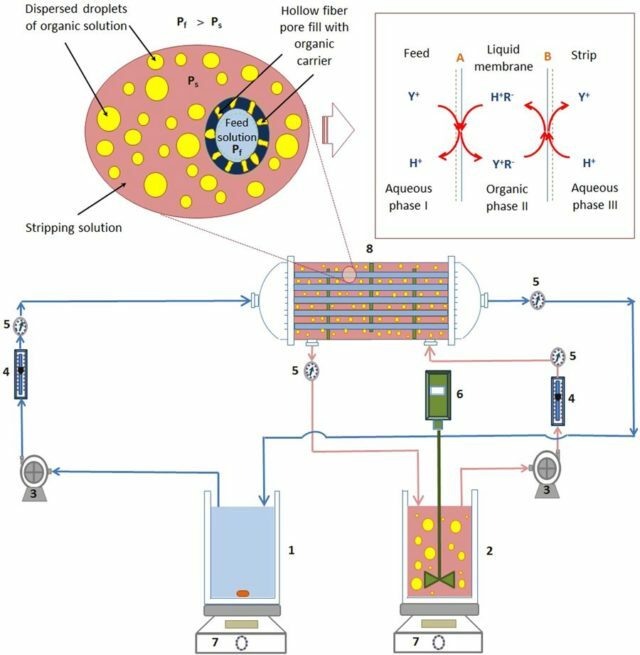 In this review, we discuss the plasma-in-liquid process, especially the microwave-induced plasma-in-liquid process (MWPLP), for metal and metal oxide nanoparticle production. Various types of plasma systems have been employed to produce metal, alloy, and metal oxide nanoparticles. Nanoparticle production by plasma processes usually requires fewer chemical additives compared to other chemical processes. After discussing the bottom-up approach and the plasma-in-liquid process for nanoparticle synthesis, we have focused on MWPLP. Various apparatus systems and detailed mechanisms of MWPLP will be discussed and preparation of metal and metal oxide nanoparticles by MWPLP will be introduced in detail. The surface-coated-electrode system, which is a unique system for MWPLP, is also discussed in this review. This system prevents sample contamination due to the metal components, which are usually ejected into the surrounding liquid after plasma ignition during the production of nanoparticles. Scientific Reports, 8, 14909 (2018). Abstract: Zinc-air batteries are a promising technology for large-scale electricity storage. However, their practical deployment has been hindered by some issues related to corrosion and passivation of the zinc anode in an alkaline electrolyte. In this work, anionic surfactant sodium dodecyl sulfate (SDS) and nonionic surfactant Pluronic F-127 (P127) are examined their applicability to enhance the battery performances. Pristine zinc granules in 7 M KOH, pristine zinc granules in 0–8 mM SDS/7 M KOH, pristine zinc granules in 0–1000 ppm P127/7 M KOH, and SDS coated zinc granules in 7 M KOH were examined. Cyclic voltammograms, potentiodynamic polarization, and electrochemical impedance spectroscopy confirmed that using 0.2 mM SDS or 100 ppm P127 effectively suppressed the anode corrosion and passivation. Nevertheless, direct coating SDS on the zinc anode showed adverse effects because the thick layer of SDS coating acted as a passivating film and blocked the removal of the anode oxidation product from the zinc surface. Furthermore, the performances of the zinc-air flow batteries were studied. Galvanostatic discharge results indicated that the improvement of discharge capacity and energy density could be sought by the introduction of the surfactants to the KOH electrolyte. The enhancement of specific discharge capacity for 30% and 24% was observed in the electrolyte containing 100 ppm P127 and 0.2 mM SDS, respectively. International Journal of Mass Spectrometry, 434, 179-184 (2018). Abstract: CuO nanoparticles (CuO) loaded on zeolite (CuO/HM20) and zeolite whose active sites are substituted by copper (CuM20) have been developed as matrices for laser desorption ionization. CuO/HM20 showed efficient Cu+ production upon laser irradiation. 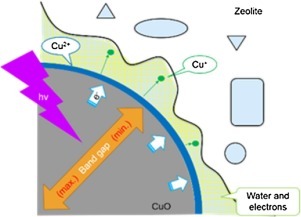 By several spectroscopic results, it was found that CuO interacts with hydroxyl groups in zeolite and the lifetime of electron hole pair becomes long owing to the presence of the zeolite support. In addition, it was also found that water molecules surrounding the CuO play an important role in the Cu2++e → Cu+ reaction on the CuO surface. For CuM20, on the other hand, Cu+ production was not effective, probable because strong binding of Cu2+ with water molecules hindered the desorption of copper ions. These two matrices were applied to the desorption ionization of small molecules (arginine, tyrosine, heptacosan, melamine and creatinine). It was found that CuO/HM20 ionized analyte efficiently and CuM20 had selectivity for Cu+ adduction ionization. Beilstein Journal of Nanotechnology, 9, 2609-2617 (2018). Abstract: Enhancement of X-ray emission was observed from a micro-jet of a nano-colloidal gold suspension in air under double-pulse excitation of ultrashort (40 fs) near-IR laser pulses. Temporal and spatial overlaps between the pre-pulse and the main pulse were optimized for the highest X-ray emission. The maximum X-ray intensity was obtained at a 1–7 ns delay of the main pulse irradiation after the pre-pulse irradiation with the micro-jet position shifted along the laser beam propagation. It was revealed that the volume around gold nanoparticles where the permittivity is near zero, ε ≈ 0, accounts for the strongest absorption, which leads to the effective enhancements of X-ray emission. Abstract: We propose a novel method for the ultra-rapid cationization of gold nanoparticles with diameters ranging from several to a hundred nanometers via a single-step ligand exchange reaction of citrate-protected anionic gold nanoparticles with cationic thiol ligand. This reaction was performed only in an aqueous medium via a single step from citrate to cationic thiol, therefore enables a rapid preparation of cationic Au NPs without a contamination of organic solvent or lipid-soluble molecules. The cationization was successfully completed within 20 min without changes in the core diameter and optical characteristic. New Journal of Chemistry, 42(17), 14493-14501 (2018). Abstract: Herein, we report a method of Ag nanoparticle preparation using hydrogen peroxide as a reducing agent. Ag nanoparticles were synthesized using silver(I) nitrate as a silver precursor, aqueous NH3 as a pH adjustor, and poly(vinyl pyrrolidone) (PVP) as a dispersant. The PVP concentration, reaction temperature, pH of the reaction solution, and silver precursor all had a great influence on the size of the Ag nanoparticles. These parameters affected the reduction speed of the Ag+ ions and the aggregation of Ag nanoparticles. Ag nanoparticles of uniform shape were obtained under optimized conditions. In this work, we discuss a Ag nanoparticle growth mechanism based on La Mer’s model, and aggregation control by PVP. This is a promising Ag nanoparticle preparation method with a low environmental load. Antibacterial test using the obtained Ag nanoparticles were also carried out. Scientific Reports, 8, 11273 (2018). DOI:10.1038/s41598-018-29630-0 (Published 26 July 2018). Abstract: Zinc-air flow batteries exhibit high energy density and offer several appealing advantages. However, their low efficiency of zinc utilization resulted from passivation and corrosion of the zinc anodes has limited their broad application. 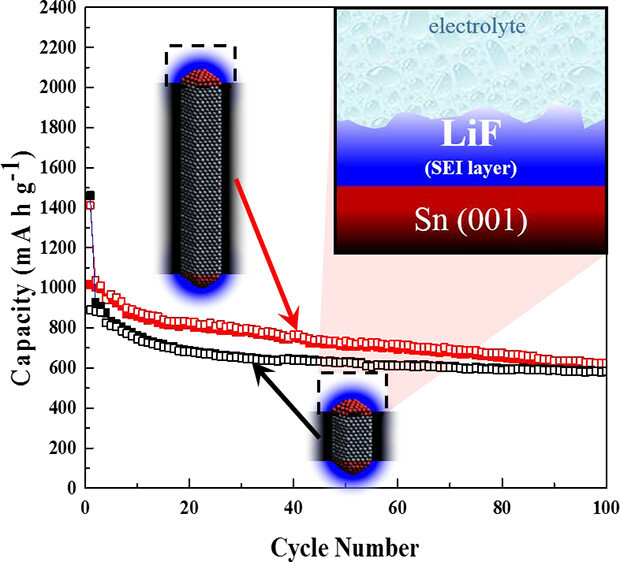 In this work, ethanol, which is considered as an environmentally friendly solvent, is examined as an electrolyte additive to potassium hydroxide (KOH) aqueous electrolyte to improve electrochemical performance of the batteries. Besides, the effects of adding different percentages of ethanol (0–50% v/v) to 8M KOH aqueous electrolyte were investigated and discussed. Cyclic voltammograms revealed that the presence of 5–10% v/v ethanol is attributed to the enhancement of zinc dissolution and the hindrance of zinc anode passivation. Also, potentiodynamic polarization and electrochemical impedance spectroscopy confirmed that adding 5–10% v/v ethanol could effectively suppress the formation of passivating layers on the active surface of the zinc anodes. Though the addition of ethanol increased solution resistance and hence slightly decreased the discharge potential of the batteries, a significant enhancement of discharge capacity and energy density could be sought. Also, galvanostatic discharge results indicated that the battery using 10% v/v ethanol electrolyte exhibited the highest electrochemical performance with 30% increase in discharge capacity and 16% increase in specific energy over that of KOH electrolyte without ethanol. ACS Applied Nano Materials, 1(8), 4073-4082 (2018). Abstract: We report a facile method for preparing a silica (SiO2) based material containing Sn nanoparticles (NPs) distributed inside for enhancing the thermal cyclic stability of the inserted Sn NPs. Absorption of a Sn precursor, i. e., an aqueous SnCl2 solution into a mesoporous SiO2 matrix resulted in confining the Sn precursor into a mesoporous SiO2 matrix. Hydrogen thermal reduction of the above composite yielded Sn nanoparticles of ca. 30 nm uniformly distributed inside porous SiO2 (p-SiO2) spheres: Sn NPs@p-SiO2. Our investigation of the transformation of the porous SiO2 structure to hold Sn NPs revealed that the process was closely related to the transformation of the amorphous hydrolyzed Sn precursor into Sn oxides followed by, probably, the rearrangement of the SiO2 matrix via its interaction with the melting Sn. This led to the formation of stable Sn NPs@p-SiO2. The SiO2 matrix effectively prevented the coalescence of the Sn NPs and the obtained product exhibited negligible changes in melting behavior during 2nd -100th cycle of freeze-melt cycle test. The Journal of Physical Chemistry C, 122(31), 18142-18150 (2018). Au25(SR0)18-x(SR+)x. The ligand-exchange process was monitored by electrospray ionization mass spectrometry and the reaction kinetics is discussed in combination with 1H-NMR results; these techniques reveal that the kinetics of the cationic-ligand-exchange process, which is different from a typical neutral-thiol-to-neutral-thiol ligand exchange, is strongly dependent on how the SR+ ligands interact with each other during the ligand-exchange process. There are two main factors that determine the unique reaction kinetics, namely coulombic repulsions (i) between the attached SR+ ligands and free ligands in solution that hinder further ligand exchange, and (ii) among the surface SR+ ligands on the thiolate monolayer, which promotes the thermal decomposition of the nanocluster. PLoS One, 13(7), e0200084 (2018) (pp. 1 – 15). DOI: 10.1071/journal.pone.0200084 (Published 3 July 2018). Abstract: A simple and low-cost method to fabricate copper conductive patterns at low temperature is critical for printed electronics. Low-temperature spray-pyrolysis of copper-alkanolamine complex solution shows high potential for this application. However, the produced copper patterns exhibit a granular structure consisting of connected fine copper particles. In this work, low-temperature spray-pyrolysis of copper formate-diethanolamine complex solution under N2 flow at a temperature of 200 ℃ was investigated. The effects of spraying conditions on microstructure and electrical properties of the patterns were examined. Our results revealed that the spraying rate is a critical parameter determining the degree of sintering and electrical resistivity of the patterns. A low spraying rate facilitates sintering, and hence well-sintered copper patterns with the lowest resistivity of 6.12 μΩ.cm (3.6 times of bulk copper) on a polyimide substrate could be fabricated. Scientific Reports, 8, 8839 (2018). Abstract: Spinel based transition metal oxide – FeV2O4 is applied as a novel anode for sodium-ion battery. The electrochemical tests indicate that FeV2O4 is generally controlled by pseudo-capacitive process. Using cost-effective and eco-friendly aqueous based binders, Sodium-Carboxymethylcellulose/Styrene butadiene rubber, a highly stable capacity of ~97 mAh∙g−1 is obtained after 200 cycles. This is attributed to the strong hydrogen bonding of carboxyl and hydroxyl groups indicating superior binding with the active material and current collector which is confirmed by the ex-situ cross-section images of the electrode. 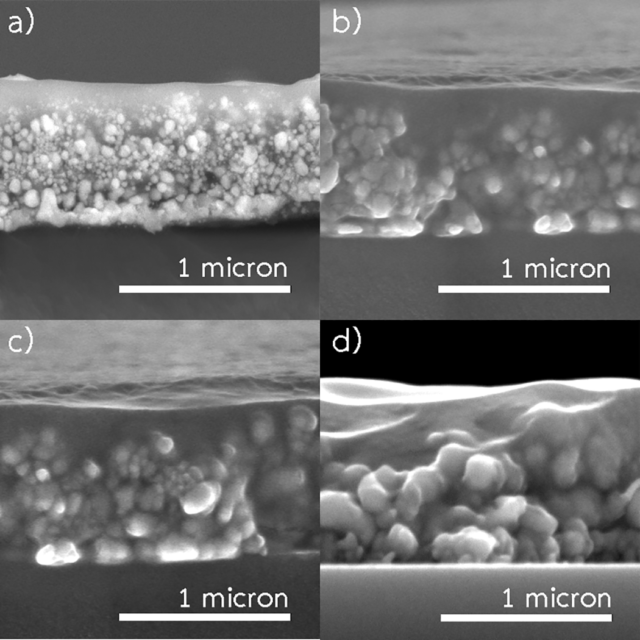 Meanwhile, only ~27 mAh∙g−1 is provided by the electrode using poly(vinylidene difluoride) due to severe detachment of the electrode material from the Cu foil after 200 cycles. 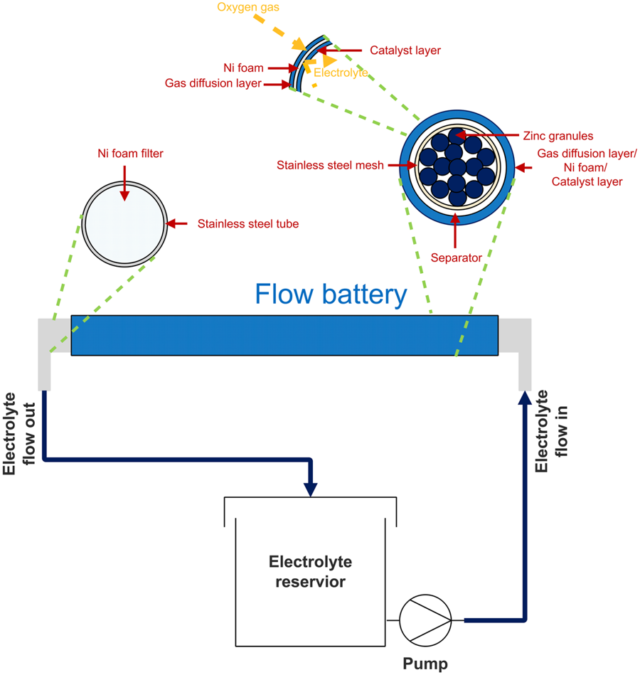 The obtained results provide an insight into the possible applications of FeV2O4 as an anode material and the use of water-based binders to obtain highly stable electrochemical tests for sodium-ion battery. ACS Applied Nano Materials, 1(7), 3509-3519 (2018). DOI: 10.1021/acsanm.8b00664 (Published (web) 5 June 2018). 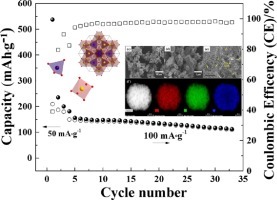 Abstract: β-Sn nanorod (NR) with (200) facets and (001) tip is a potential anode material in lithium ion battery (LIB) due to its good cycle stability that can retain ~600 and 550 mA h g-1 after 100 cycles using 0.2 C for high and low aspect ratios, respectively. The high stability compared to that of spherical nanoparticles can be attributed to the combination of the nanorod morphology that buffers large volumetric change, and the LiF-rich F-containing surface electrolyte interface (SEI) layer that allows for a stable SEI layer, a good ionic and electronic contact. The lower SEI resistivity and high Li+ diffusivity of low aspect ratio β-Sn NRs resulted in a better cyclability compared to high aspect ratio β-Sn NRs. In addition, low aspect ratio β-Sn NRs have more specific surface area of highly reactive (001) surface, i.e., the tip of the rod, that produces a LiF-rich F-containing SEI layer. Abstract: Yttrium (Y) is an essential lanthanide rare earth element and can be effectively extracted and purified using a hollow fiber supported liquid membrane (HFSLM) system. However, the stability of HFSLM system is a significant challenge. Pseudoemulsion-hollow fiber strip dispersion (PEHFSD) system, providing excellent stability, is attracting research attention. In this work, the recovery of Y(III) by PEHFSD system using di(2-ethylhexyl)phosphoric acid (D2EHPA) as a carrier was investigated. The effects of several operating parameters, including the initial concentration of Y(III) in the feed phase, the flow rate of feed, the stirring speed and the volumetric ratio of feed to strip on Y(III) separation were studied. The Y(III) transport was analyzed on the concentration ratio of Y(III) ions, percent extraction, percent stripping and overall mass transfer coefficient (Kp). The PEHFSD system outperformed HFSLM system regarding separation performance and stability. Kp of HFSLM system decreased after the second run, but K p of PEHFSD system remained constant even at the fifth run. The dispersed droplets in the strip dispersion phase in the PEHFSD system enhanced separation performance and stability of the membrane module. Journal of the Taiwan Institute of Chemical Engineers, 88, 161-168 (2018). DOI: 10.1016/j.jtice.2018.03.052 (Published (web) 16 April 2018). Abstract: A template-free solvothermal method was employed to successfully obtain ZnV2O4 spinel oxide and its electrochemical properties as anode materials for sodium ion battery system were investigated for the first time. The structural, morphological, elemental composition, electrochemical properties and theoretical calculations of the as-prepared ZnV2O4 were carried out. XRD revealed the presence of ZnO and VO2 impurities when synthesized for 1 day, while complete formation of ZnV2O4 was attained when the synthesis procedure was increased to 3 days. 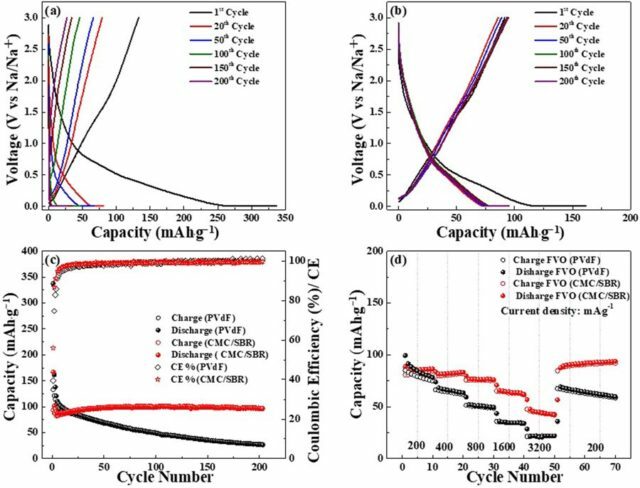 When cycled at 50 mA/g, it delivered an initial capacity of as high as 537 mAh/g at a potential window of 0.01–3.0 V. Meanwhile, a reversible capacity of ∼ 113 mAh/g was obtained when cycled at 100 mA/g for 30 cycles. These results indicate the potential applications of ZnV2O4 as anode materials for sodium ion battery systems. Engineering Journal, 22(2), 47-57 (2018). Abstract: Zinc-air battery is considered a promising candidate for future energy applications due to its high energy density, safety and low cost. However, poor battery performance and low efficiency of zinc utilization, resulted from passivation effect of the zinc anode, is a major challenge. Thus, in this work, investigation of electronic and ionic conductivities enhancement of the zinc anode for flexible printed zinc-air battery has been carried out. The anode was made from a zinc-based ink, prepared from a mixture of zinc and zinc oxide particles. Carbon black, sodium silicate (Na2SiO3) and bismuth oxide (Bi2O3) were investigated for implementation on the anode. The results showed that performance of the battery increased when carbon black was introduced into the anode as the presence of carbon black improved electronic conductivity of the anode. Again, the battery performed better when Bi2O3 or Na2SiO3 was introduced due to the formation of solid electrolyte interface (SEI) on the anode. The SEI inhibits passivation of zinc active surfaces and provides effective electrolyte access. The battery with Bi2O3 provided the best performance. The highest performance was observed when Bi2O3 content reached 26 wt.%. No significant improvement was observed when Bi2O3 concentration increased higher than 26 wt.%. Abstract: We herein present the preparation of short, bulky cationic thiolate (thiocholine) protected fluorescent Au nanoclusters via sputter deposition over a liquid polymer matrix. 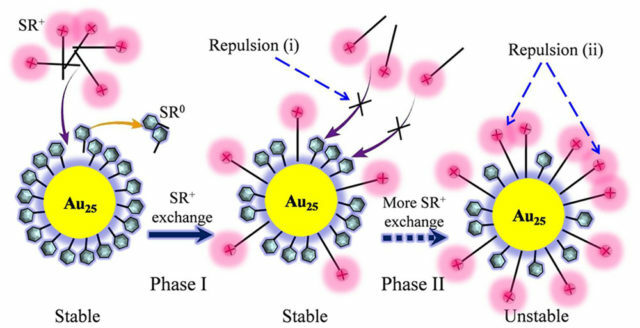 The obtained Au nanoclusters showed near-infrared fluorescence and had an average core diameter of 1.7 ± 0.6 nm, which is too large compared with that of the reported fluorescent Au nanoclusters prepared via chemical means. We revealed the mechanism of formation of this unique material using single-particle electron microscopy, optical measurements, X-ray photoelectron spectroscopy (XPS), and high-performance liquid chromatography fractionations. The non-crystallized image was observed via single-particle high-angle annular dark-field scanning transmission electron microscopy observations and compared with chemically synthesized crystalline Au nanoparticle with the same diameter, which demonstrated the unique structural characteristic speculated via XPS. The size fractionation and size-dependent fluorescence measurement, together with other observations, indicated that the nanoclusters most probably contained a mixture of very small fluorescent species in their aggregated form, and were derived from the sputtering process itself and not from the interaction between thiol ligands. New Journal of Chemistry, 42(8), 5680-5687 (2017). Abstract: Au/Ag alloy nanoparticles (NPs) were successfully prepared by one step synthesis using HAuCl4 and [Ag(NH3)2]+ as the corresponding precursors in microwave-induced plasma in liquid process (MWPLP) without addition of any organic protecting or reducing agents. The time dependent reduction and particle formation during 140 min plasma discharge were studied with TEM, UV-vis extinction spectra, ICP-OES. After 140 min, HAADF-STEM and EDX results indicated that the obtained Au/Ag NPs were alloy NPs. Varying the input molar ratios of metal precursors allowed for control the composition of the Au/Ag alloy NPs. Abstract: Matrix sputtering with the use of a low vapor pressure liquid as its matrix becomes a green technique to prepare nanoparticles dispersed in liquid. In the present study, we proposed using this method with polyethylene glycol (PEG, molecular weight = 600) as the liquid matrix to produce highly uniform Pt nanoparticles with a small size (below 2.0 nm) and a narrow size distribution. The results indicated that particle sizes were tailorable from 0.9 ± 0.3 to 1.4 ± 0.3 nm by varying the sputtering current (5–50 mA) with negligible particle aggregation that occurred in PEG during sputtering. The slight growth of the particle size observed after sputtering was attributed to the addition of free Pt atoms to the existing Pt nanoparticles. All samples formed stable dispersion in PEG for 5 month storage. This result suggested an advantage of using a liquid matrix to produce and stabilize nanoparticles.